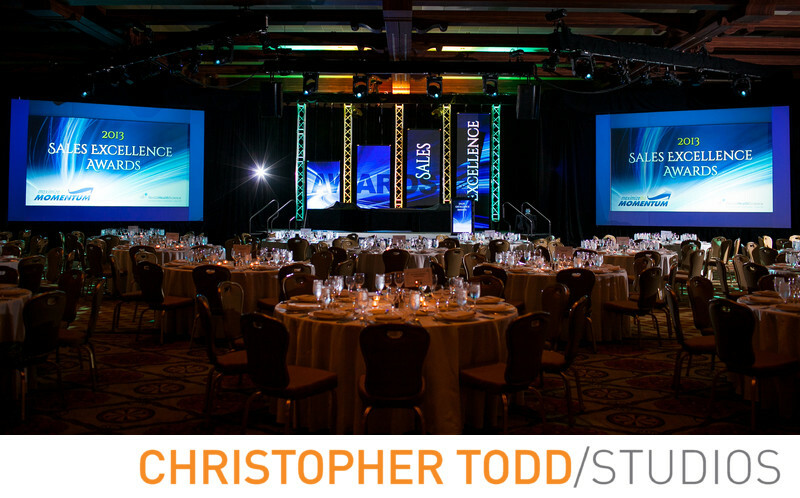 I often find myself photographing corporate events in Orange County Hotels. Nestle USA called me in to photograph their award ceremony at the Hyatt Regency Huntington Beach in their Grand ballroom. This oceanfront property often accommodates large events with ample space for indoor and outdoor options. In this photo I was able to pop in to the awards area before any attendees were inside to capture this shot of the empty stage and lectern. 1/50; f/2.8; ISO 500; 35.0 mm.